entirely filmed in the deserts of Nevada. The sun´s radiance is also very sad. Ideal for a burning cheek. I will file my nails in the dark. This is our battle ground. A crying swallow flies at dawn. Burn the streets at dawn! Your white soul is gone. 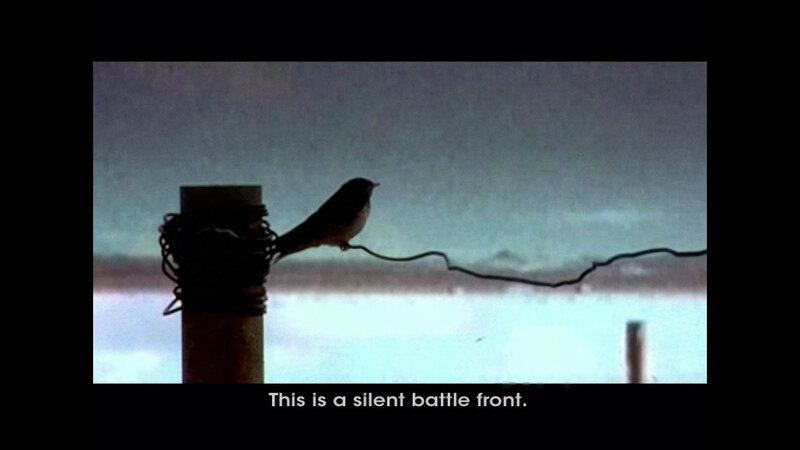 This is a silent battle front. But that doesn´t mean that I´m lonely. I just walk, keep going.